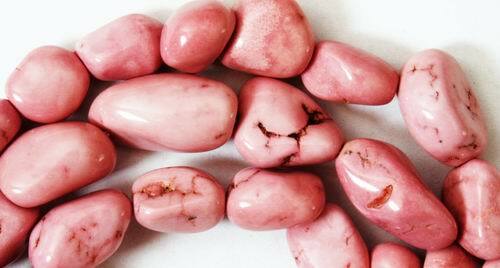 Sorry, we are currently sold out of 'Unusual Pink Turquoise Nugget Beads'. Please check back later. Price is per 16-inch string of these ususual beads. Genuine Chinese turquoise dyed pink (the color doesn't come off!). Nuggets measure around 14mm x 8mm x 7mm, drilled ready to string - but may be slightly larger depending on stock.